Last night I began knitting the baby cardigan. 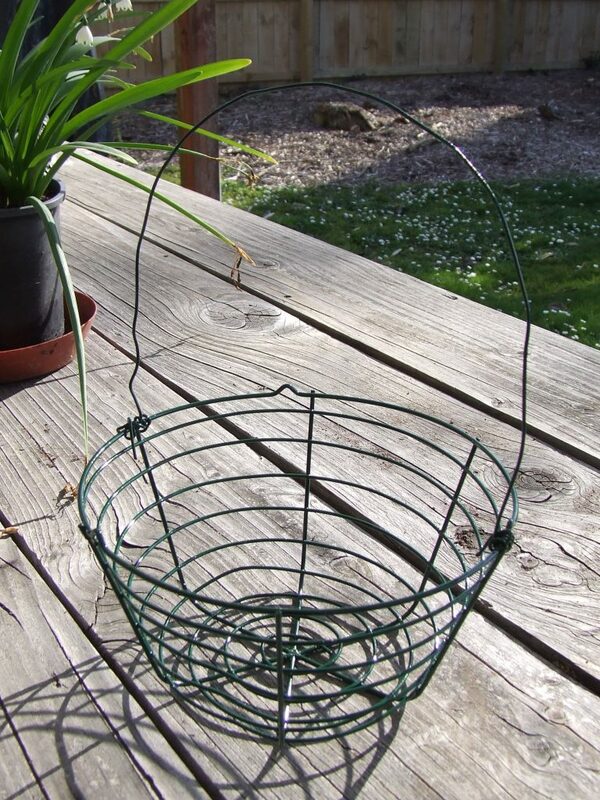 After just a few rows, I was thoroughly distracted by my egg basket, sitting there, looking at me. 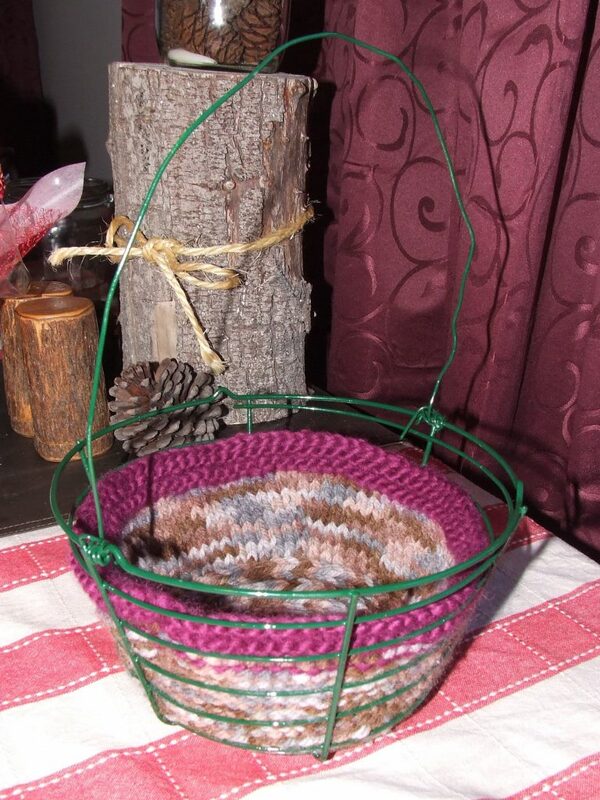 I set aside the cardigan project and gave in to the egg basket’s charms. 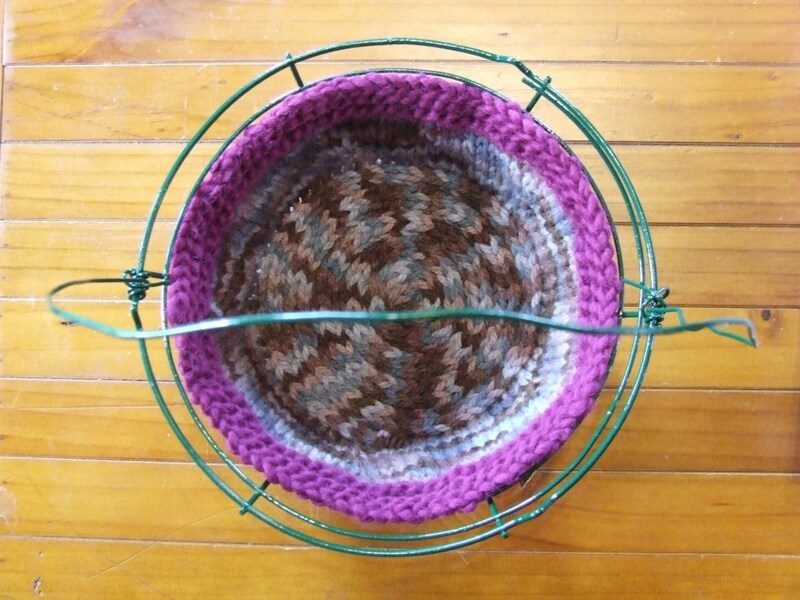 I selected some 12 ply yarn from my stash that wouldn’t take too long to knit on 7mm needles and set about figuring out my own pattern to fit the basket. 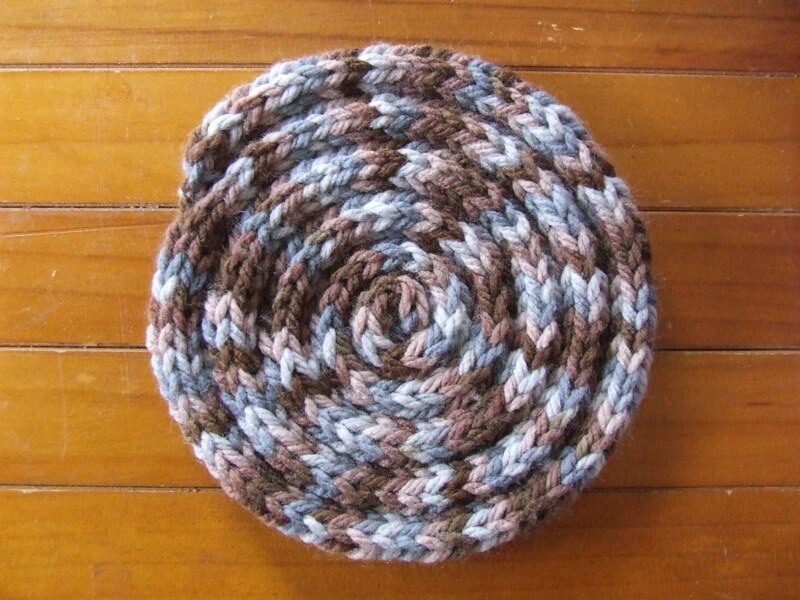 First, I made the base in the form of an i-cord with 4 stitches. 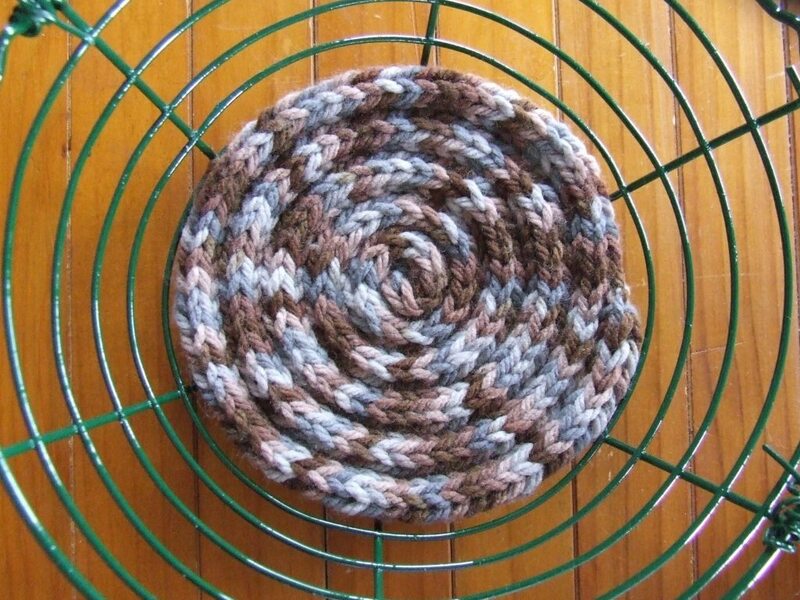 This made a long cord that I coiled up and stitched together to fit in the bottom of the basket. Then I figured it needed some sides. Using circular needles I picked up stitches along the edge and knitted the sides in stocking stitch, increasing as I went to allow for the widening sides of the basket. This was pretty much guesswork but I’m happy to say I somehow nailed it the first time. Sweet. For a bit of contrast I did the edge as four rounds of garter stitch in some of the DROPS Eskimo yarn left over from my slippers. I am totally stoked that the size worked out so nicely and I didn’t have to do any unpicking! It fits! Well, that was the easy part. 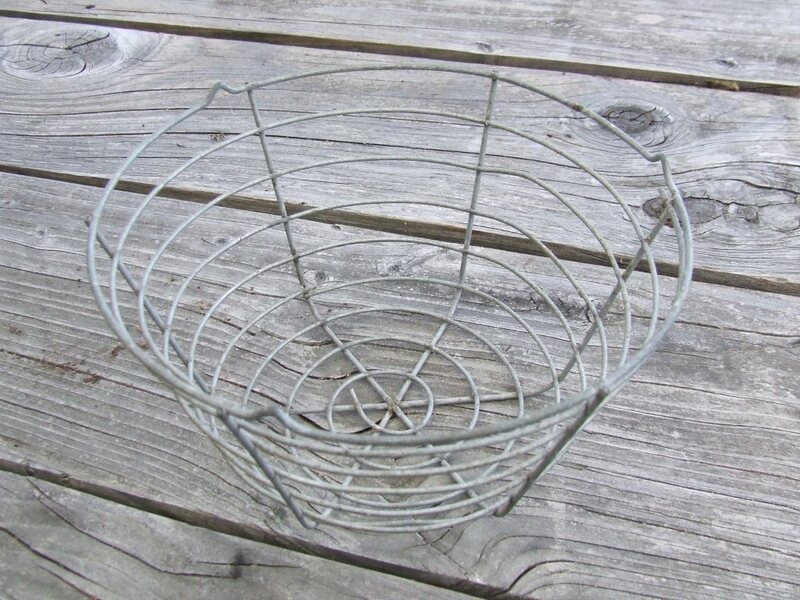 I went to put the chickens away and found an egg to test out my basket. How convenient! Previous Article Somebody Finished their Slippers Today! Fantastic idea. Our eggs sit in neatly but boringly in egg boxes on the worktop.